5.0 out of 5 starsExtremely entertaining! The story is a little off-beat, very well written and extremely entertaining! Well done Amy Reece! I loved how Finn and Mel met over notes about a "shared" cat! Very amusing! It was so refreshing to have a heroine who wasn't filled with self-doubts all the time. Mel got on with things and offered her help and got stuck-in! And the hero, Finn, is the one who needed help. Absolutely awesome!!! I look forward to book 2 coming out. I really enjoyed this book! I love the main characters and how their relationships developed. I loved Finn's family and hope that I will be able to read more about them all in this series. The story was interesting and flowed really well that it kept me turning page after page and didn't take me long to read at all. Mel and Finn and both lovely and charming characters and I really enjoyed how awkward and shy their interactions were at first. So cute! Even the cat and dog have stacks of charm! The story has a bit of mystery in it which I found to be great and just enough. It was in danger of being too far fetched bit played out perfectly. This is one of those books that I am glad to find is a series as I would love to read them all and keep tabs on the characters as well as more about others in the book. While I do enjoy characters with a bit of angst or dark pasts, it was great to read about normal characters with normal lives. It made for a very enjoyable and easy read and made the characters shine through all the more. Looking forward to the next one and more from this author. What a great story from finish to end. When Melanie's cat starts going down the road to another house and goes back with a note attched to it's collar she is intrigued. She answers the note and receives a reply. They soon meet and like each other straight away. What's not to like a good looking cop called Finn with a sense of humour and a large loving family. When Melanie starts to feel that someone is following her and has been in her place Finn is concnerned. Then a fire with a message burned into the ground makes them fear for her life. Can they get to whoever is doing this before it's too late. The ending was great and was totally expecting it to be someone else. I can't wait t9 read other books in this series. I was given this book to read for free in exchange for my honest opinion. 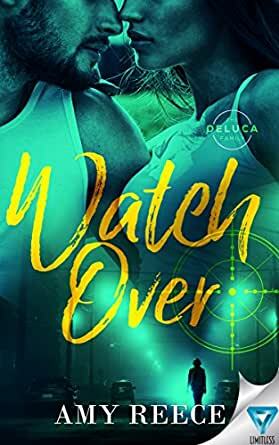 Watch Over is book 1 in the DeLucas series, from author Amy Reece. This is my first book from this author, and defiantly won’t be my last. I cannot wait to see what other great stories this author gives us, and what else she will bring to this series. Can I point out one thing about this book, and it’s the front cover, normally I don’t really take any notice of the front covers it’s all about the synopsis but it was totally the other way around for me with this one. I was captivated by the cover, it completely rounded the whole story together and made a statement that stuck me through the duration of this read. This was an incredible book, and a brilliant start to a series that I know will continue to get better and better. I was well hooked from the first page until the very last. I was captivated, hooked and sucked into this read unable to put it down. 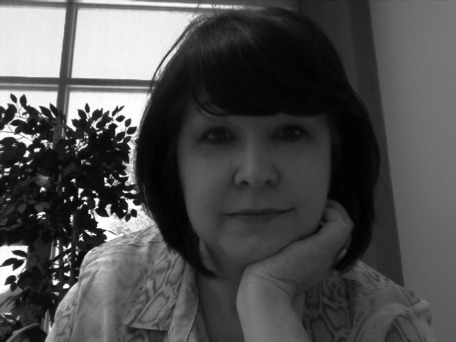 This book had various themes throughout it from love, romance, passion, friendship & suspense. This book also had a great deal of emotions from the characters that as the reader I could truly feel, such as, love, passion, happiness, sadness and fear. I’ve laughed, smiled, and been on the edge of my seat with the twists and turns that occur in this book, wondering what could possibly happen next. This book had some great scenes between the two main characters Mel & Finn and I loved reading their interactions with each other, especially how they first meet, I think this has got to be the cutest and most unique way to meet someone that I have ever read, just from their brief interactions You could tell that what these two characters was going to have was going to be real, They started off with such a great friendship, that slowly each of them never expected to start falling for each other just from the simplest of things or the time they spend together but with that being said once they finally realise their connection and their relationship developing they have an undeniable connection that was passionate, real and exactly what both of these characters needed. This book was made even more brilliant by the secondary characters that were in this story. I loved Cara & Izzy they played a big part in seeing a side to Mel that we getting opening up to us, but I also like Finn’s partner Chris and the underlying connection you can kind of get a glimpse at with Finn’s brother Hugh. Getting each of these characters introduced in this book creates a big opening for them, and I can’t wait to see if we get to read their stories in more detail. Another great thing with this book is that it was written in dual POV’s. I love reading it from the characters POV’s as we get to really see their thoughts and feeling from them rather than the other person. I also think it helps connect with a character as you get to understand some of their reasons of their actions! I can’t wait to see what else can be awaiting the DeLucas Series, I’ll be eagerly awaiting Book 2, but until then do not miss this brilliant read of growing confidence, love, trust, friends and finding new family.